I had gotten a Covergirl Outlast Stay Brillian Glosstini in one of my event gift bags and have finally gotten around to trying it out. My poor nails have been very neglected lately so they were happy to receive some love. 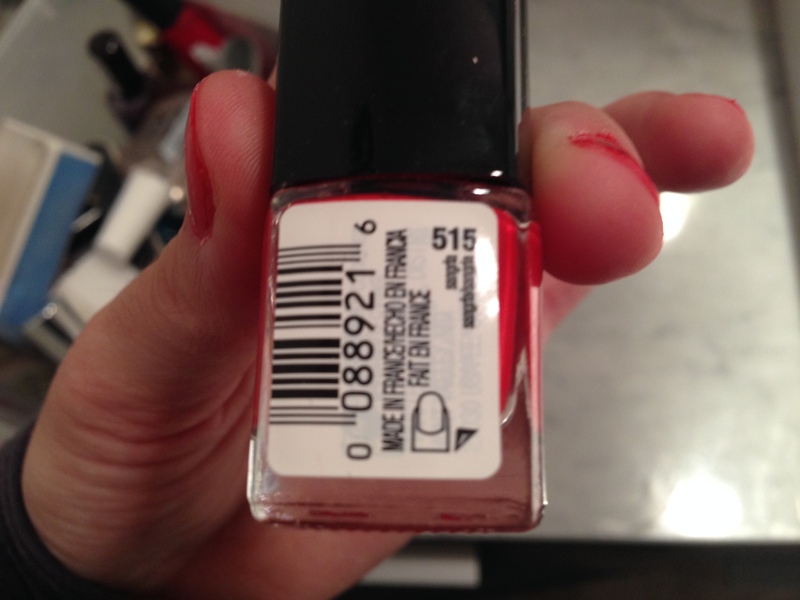 The colour I had was number 515 – Sangria. The colour is a bit orange and bright for my preference but it’s nice to step out of the box once in a while. The colour isn’t bad – I got away with using 1 coat but probably should have used 2. 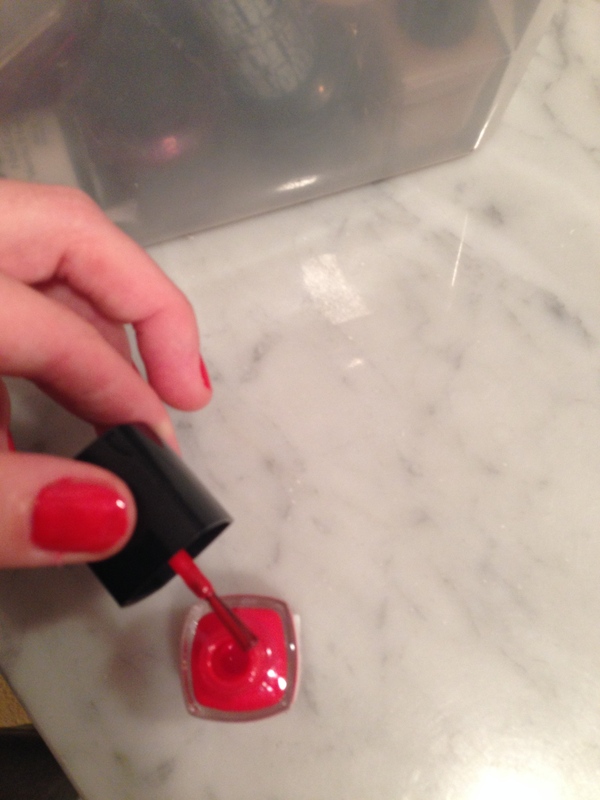 I also used a base coat and a top coat – regardless of the claims it’s not glossy enough to get away without. The brush is better than most drug store nail polishes – still fans out a bit during application so I had to use my pointed Q-tips (which are the BEST by the way) to remove some of the colour that went onto the skin. Overall I’m happy with the product – and I like the size of the Glosstinis and think they’re PERFECT for those once in awhile colours. I’m on day 3 and the polish has held up better than any other brands I have used. Again I’m really really hard on my hands so after 3 days and there’s only a little receding of colour at the tips is huge indicator to the quality and durability of the polish. I think these will make GREAT stocking stuffer this holiday season – or if you have to travel a great add in to your beauty bag. The website says they are limited edition so I will be keeping my eyes out at my local shoppers to pick up a few – for myself and for gifts! 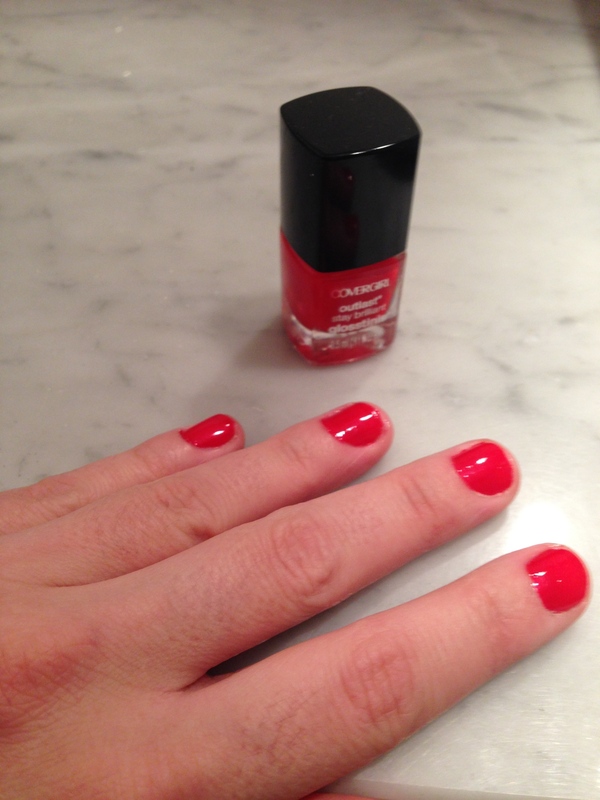 This entry was posted in Beauty and tagged Covergirl, nail polish, nails by maldham. Bookmark the permalink.